... but it probably won't, because you like being comfortable too much. The cure to obesity is to have a healthy diet and exercise... but it's easier to eat processed foods and be lazy. The best way to stay out of debt and avoid bankruptcy is to never spend more money than you have... but it's easier to buy what you want, and just put it on a credit card now. You could write a book, master a new language, or learn an instrument, with just a little bit of practice and daily effort... but motivating yourself to put in the work is way harder than binge-watching a whole season of How I Met Your Mother on Netflix. You could have an incredible, passionate, connected, dynamic, committed, romantic relationship... but you'd rather play it safe and stay in your comfort zone than have the love you crave. You'd rather use the excuse of being busy with work or taking care of the kids than make the extra effort to plan a romantic date. You'd rather turn down your partner's advances because you're not in the mood than to entertain the idea of passion. You'd rather wait for the other person to make the first move than risk looking the fool. You'd rather watch a movie come up with thoughtful questions that could inspire a meaningful conversation. You'd rather scream, walk away from a conversation, and slam the door behind you than listen compassionately, and show understanding and forgiveness. You'd rather read 50 Shades of Gray than a book that could educate you on how to be a better partner. In short, you'd rather be comfortable than in love! If you want to win at the game of love - ok, not just the game of love, the World Series of love - you have to make yourself uncomfortable. You have to stretch. You have to constantly recommit yourself, educate yourself, improve yourself, dig deeper, give more, and practice practice practice. Whenever you're venturing into new territory, or growing and stretching yourself, you will experience a learning curve... and that can be really awkward. I remember how awkward I was when I went to my first co-ed dance when I was 14. I was terrified to even make eye contact with a girl, let alone ask a girl to dance! I spent the majority of the dance either standing in a circle with my friends, bobbing my head - or if I got really courageous, I might bust out a few of the whitest dance moves you've ever seen. As I attended more dances, it got less and less awkward to ask a girl to dance. It got to be a lot of fun! I began anticipate when slow songs were going to come on, and I'd position myself next to a girl I had a crush on so I could ask her before any other guys. I grew to love dancing so much that I took some ballroom classes, and even started looking for opportunities to dance on a regular basis. Give yourself permission to be awkward and look stupid. You won't be good at something new the first time you try it. You'll wobble on your bike and crash a few times before you get the hang of riding a two-wheeler. You'll make some really ugly cupcakes, and weird tasting cookies before you can open your own bakery. You'll write some really horrible blog posts before you become an author. But the people who are willing to look stupid and feel uncomfortable are the ones who will experience the kind of love the rest of us only fantasize about. So, what can you do today to make yourself uncomfortable? How can you embrace the awkward? What are you really committed to... love, or something else? Six months ago I was engaged, and my plan for 2015 was to be married and living in cute little house with the woman of my dreams as we built our future life together. At the moment, I'm single and sitting in my basement. I've spent a lot of time contemplating what went wrong. Life obviously did not go according to my plan. We initially pushed back our wedding date in October to give ourselves some much-needed space and time. Three months later we decided it was best to call off our engagement entirely to allow ourselves to tackle some personal struggles. I know, people break up all the time. 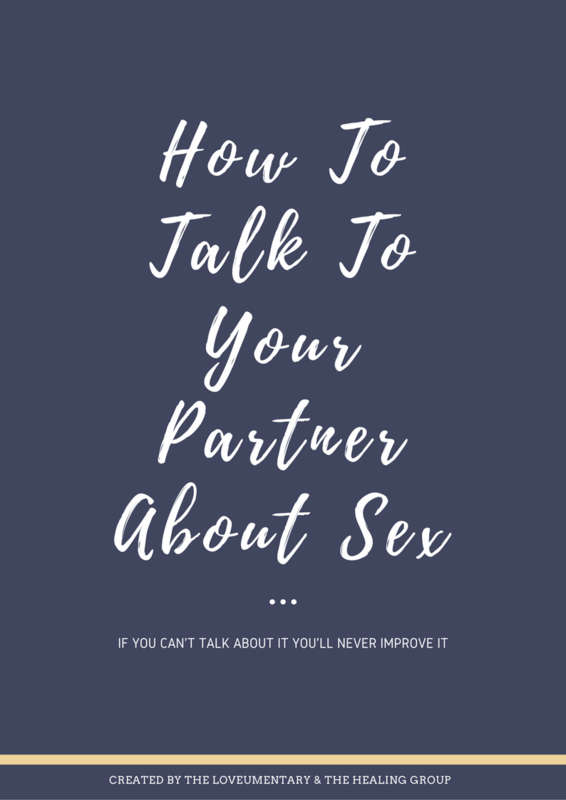 Every day couples are calling off their engagements, or getting left standing at the altar, or going through struggles of infidelity, bankruptcy, loss, or even dead bedrooms. Needless to say, after the breakup I was really angry, confused and scared. I felt like a fraud. There were moments where I felt completely unworthy of love or that my heart would never heal. But getting hurt is not what this post is about. This post is about having a plan... and what happens when that plan goes horribly wrong. Like, the opposite-of-the-way-you-thought-plans-would-go kind of wrong. The what-the-heck-just-happened-are-you-freaking-kidding-me kind of wrong. I recently realized that every time I've had one of those shake-your-fist-at-the-sky-and-scream-at-the-top-of-your-lungs moments it's because I've been attached to a specific outcome. I wanted something to happen really really bad... and despite all of my valiant efforts the thing did not happen. "I'm going to say/do A, and then she's going to say/do B, and then I'll respond with X, and then she'll see things my way, and we'll all be happy!" Plans are simple, easy, straightforward. If everyone followed my plans, life would be so much less painful, and everyone would be so happy! Plans work the opposite of the way life works. Life is chaotic, complex, and random... and when pitted up against my plans, life always wins, and I lose. As I've reflected on the chaos that has been my life over the last several months, I've learned a valuable lesson: Getting fixated on a plan generally leads to disappointment... but there is HUGE value in planning. Planning involves preparing, considering all the possibilities and contemplating potential outcomes, then formulating a response for all of these circumstances. Our love life is probably the area where we make the most "plans." We have "a plan" for our honeymoon. We have "a plan" when we're going to buy a house. We have "a plan" for how romantic vacations will unfold, when we'll have kids, how many kids we'll have, and how well-behaved they'll be. We have plans about how our bodies will look, how much energy and money we'll have, and how our love will always feel easy. If all we get attached to a plan of how we think life should be, our marriages and relationships will be fraught with disappointment, frustration, and conflict... because life happens, and our plans get destroyed. Or as Mike Tyson said, "Everybody has a plan 'till they get punched in the face." Instead, if you are rigorous in your planning - if you prepare and avoid getting attached to "a plan," - you can roll with the punches when it rains through your entire honeymoon, or when you can't afford a house in the first 5 years of your marriage, or when traffic or sickness threatens a romantic getaway. You can still find joy and happiness when you are surprised with twins... even very rambunctious twins, or when you put on weight or lose your hair... or even when your engagement falls to pieces. If you're finding yourself being constantly disappointed or stressed or looking around wondering how the heck you got where you are and what happened to the life you thought you'd have, ask yourself the question, "Am focused more on planning, or on living out my ideal plan?" What can you do to start planning and preparing for the curveballs and bombshells of life? How can you educate yourself to handle jarring, unexpected situations with grace and poise? How can you develop the habit of seeing the good in everything... even when life doesn't go according to "the plan?" Leave your thoughts in the comments! When Love Arrives... What Will You Do? Sarah Kaye and Phil Kaye wrote and performed this poem about the expectations and realities of love. They beautifully describe the evolution of love, our shifting and maturing expectations, and our attitude towards love found... and lost. It's a beautiful piece. You will be better for watching it.